TL;DR:If you have an app from an unidentified developer and you're sure the app is safe, you can force it to run by right clicking (or command-clicking) the app and choosing "Open" from the context menu. 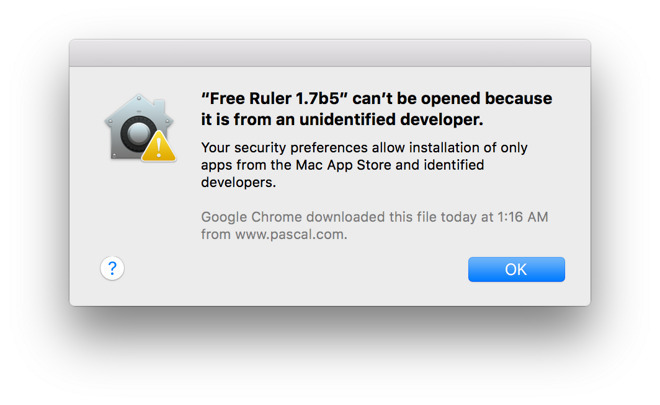 OS X's Gatekeeper feature —introduced with OS X Mountain Lion —places restrictions on which apps can be run on a Mac based on the avenue through which the apps were acquired. There are three tiers: apps which are distributed by registered developers through the Mac App Store, apps which are distributed by registered developers outside of the Mac App Store, and apps which are not made by registered developers. Gatekeeper distinguishes between the latter two based, broadly, on whether the app has been signed with a legitimate Apple-issued signing key. 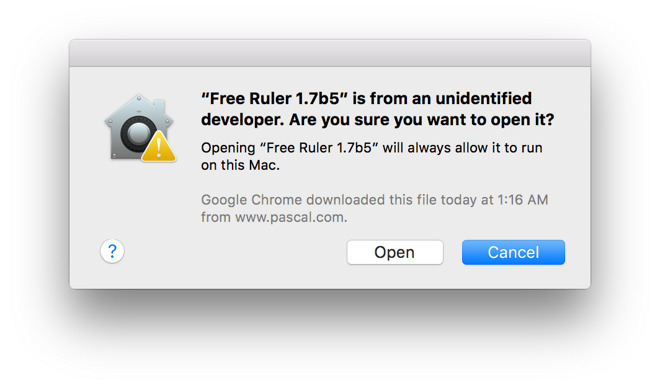 Unless you choose to allow apps downloaded from anywhere, OS X will warn you against opening apps that aren't signed: you'll see a dialog box that says " can't be opened because it is from an unidentified developer," and clicking OK will simply close the dialog. If you're sure the app is safe, you don't need to alter your security preferences to open it —there's a faster workaround. Right click (or command-click) on the app and select "Open" from the context menu. This will present a slightly different dialog box: this time, you'll be presented with an "Open" button that will let you force OS X to run the app. Remember: only do this if you're sure the app is from a reputable developer and has not been tampered with.